Düsseldorf, percussive, wave, African, disco-house. Düsseldorf has a face for its new musical generation. Chameleon, adept tastemaker and consummate vinyl lover, Jan Schulte is one of Germany’s best DJ exports, honing his taste and styles to a fit a mix of percussive and wave styles. As an artist he has more pseudonyms that you can shake a stick at. As Wolf Müller, Schulte embodies a prototypical krautrock deity, one that earned sterling plaudits for his 2016 EP The Sound of Glades, recorded alongside Cass for International Feel Recordings. There’s Bufiman, an act that characterizes the artist’s more percussive and classic house side featuring an abundance of African rhythms. He’s also not shy on the collaborating front working as Montezumas Rache alongside Christian Pannenborg from The Record Loft in Berlin, as Young Wolf with Young Marco while a new collaborative EP with Tim Schumacher is also in the works. Having grown up in Düsseldorf, Schulte was equally driven by his love for b-boy breaks, dusty jazz records as he was by the city’s formative, avant garde electronica past. It’s this wide-range of influences that really sum up the German’s diverse sounding approach to music, whether it be his African percussive house records as Bufiman, disco re-edits as Diskoking Burnhart McKoolski, or just as the denounced DJ that can skip from rare techno B-sides to off-kilter psychedelic-soul and obscure wave records. 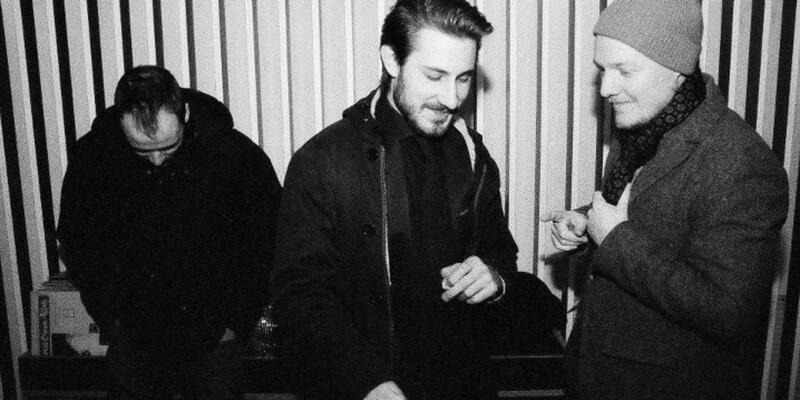 A resident DJ at Dusseldorf’s iconic nightclub, Salon Des Amateurs – nicknamed the ‘post-kraut Haçienda’ by Resident Advisor – Schulte is part of a newer generation of artists that surmise the venue’s approach to diverse music that also includes the likes of Lena Willikens and Tolouse Low Trax. He’s also part of the local imprint and community Themes for Great Cities, that push forward thinking, dancefloor wave, techno and house. Basically cool new electronic music that’s only available to vinyl-heads. All-round Schulte is a good-looking, smooth-talking selector that has helped Düsseldorf forge its new musical identity. Established in the underground DJ community, Schulte is putting the art of taste back into tastemaker and whichever artist mask he’s wearing –or collaboration he’s involved in- you can always expect a cognizant approach to worldwide music that taps into the audience’s dancing sensibilities.